Flip a coin. 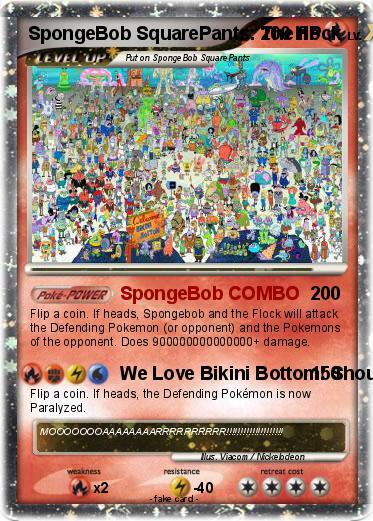 If heads, Spongebob and the Flock will attack the Defending Pokemon (or opponent) and the Pokemons of the opponent. Does 900000000000000+ damage.